Grab your trunks and let's hit the beach. Here are my picks for the best of what Ocean City, Maryland, has to offer. As summer rolls into full swing and a weekend approaches, a sleepy coast town of just over 7,000 people swells in size to well over a quarter of a million. The town is Ocean City, Maryland, and the people are there for a variety of reasons, of which the ocean is only one. Some come for recreation, while others come for the food. Whatever reason they have, here are my picks for why you should visit Ocean City, too. 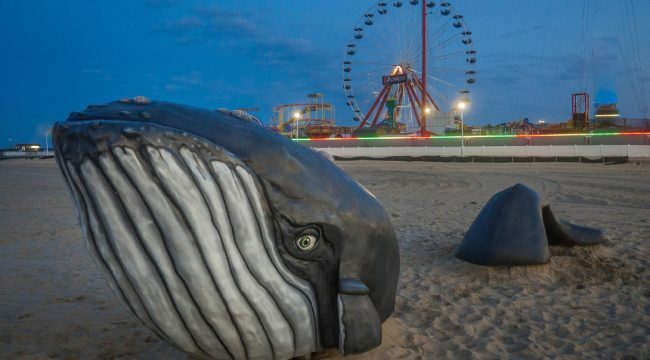 Leading off this best of list is by far Ocean City's number one attraction, apart from the ocean. 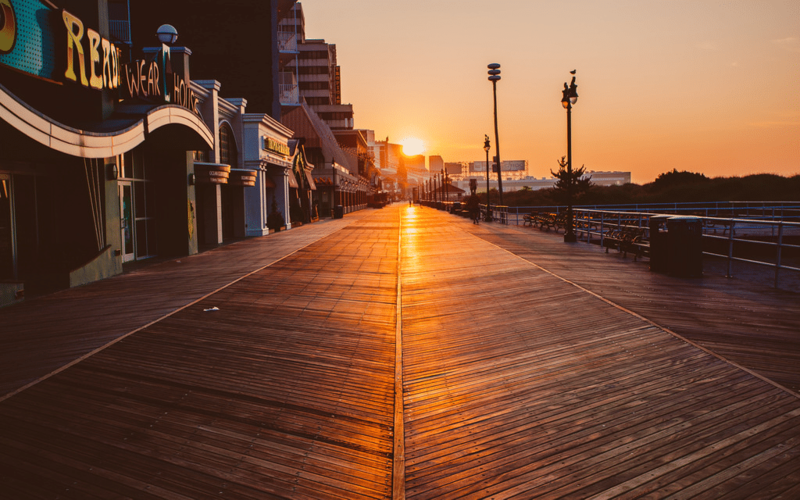 There is simply nothing more Ocean City than the Boardwalk. While it might not be the biggest in the world, at two and a half miles in length, it is impressive regardless. On the average night, the Boardwalk is the center of the people-watching universe. For the young at heart, stroll into an arcade for some ski ball, or jump into the car of a roller coaster. It seems like every third storefront is a restaurant, most serving fresh seafood. On top of all of that, add souvenir shops, slat water taffy shops, kite shops, and almost anything else you could imagine. In a simple statement, the Boardwalk has just about everything. The history of the Boardwalk stretches back over 100 years. It came into being around 1902, when a group of hotel owners decided that it would be a good idea to make everything located along the beach more accessible to their guests. They decided that the best way to do this was to stretch out a wooden walkway between their hotels. At night, the then temporary Boardwalk was taken up and stored on the front porches of the hotels, only to be stretched back out the next morning. The first permanent Boardwalk came to Ocean City in 1910, but it only stretched about five blocks. Over time, the community extended the boards to its current length, beginning at the inlet, and stretching up to 27th Street. Access to the boards could not be simpler, with a large parking lot at the base near the inlet. For all of the fun the Boardwalk has to offer, I suggest staying at one of the many hotels that are located there. That way, you are only ever steps away from entertainment. 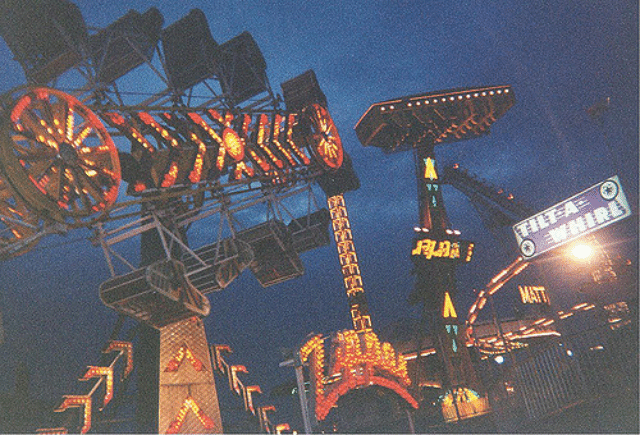 No self-respecting boardwalk is complete without a few thrill rides, and Ocean City is no exception. Here, Trimper's Rides and Amusements fills this roll. The business has been family owned and operated since its inception over 100 years ago. The current vice president and manager, Granville Trimper, is the grandson of the founders. It all began in 1902, when the Trimper family purchased a carousel, which is still in operation today. Originally powered by steam, the now electric merry-go-round is one of the oldest still in operation in the entire United States. Not just the home of horses, the carousel also has a dog, cat, lion, deer, goat, dragon, and pig, just to name a few. Over the years, the park has grown to over forty rides from which to choose. Trimper's has something for everyone. If you are up for something a little more exciting than a carousel, try The Tidal Wave, their most popular roller coaster. 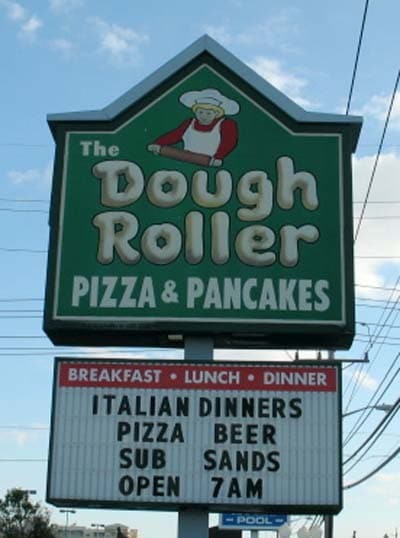 Bill Gibbs, founder of The Dough Roller, grew up with the dream of converting the porch of the Breakers Hotel into a restaurant. Almost twenty years after he came up with the idea, his family purchased the site and did just that, establishing what has become my favorite place to eat breakfast in Ocean City. What can you have for breakfast? Pancakes are a good choice, but the Roller also has some fantastic omelets, as well. Alternatively, you could have the pancakes. The have other traditional breakfast items as well, but, frankly, the pancakes and omelets are so great that I have never actually tried any of the other items. Based on the high quality pancakes and omelets, I am sure anything you pick will be great. While there are six locations in and around Ocean City, I highly recommend the 3rd Street and Boardwalk location. Get there early. Where else can you watch the waves roll in while you eat your breakfast? 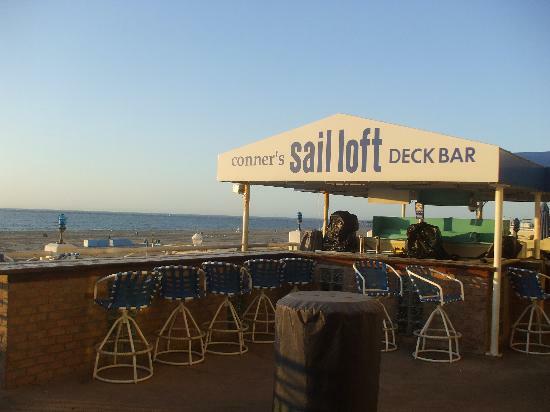 Not far from breakfast is lunch, and not far from The Dough Roller is the Sail Loft Deck Bar. Tucked between 2nd and 3rd streets on the boardwalk, this is a great place to drop into, all gross and sweaty from the beach, and no one will care. The Sail Loft Deck Bar, which itself is the second level of Conner's Beach Cafe, offers a light fare of something for everyone, ranging from fried clam strips to garden burgers.